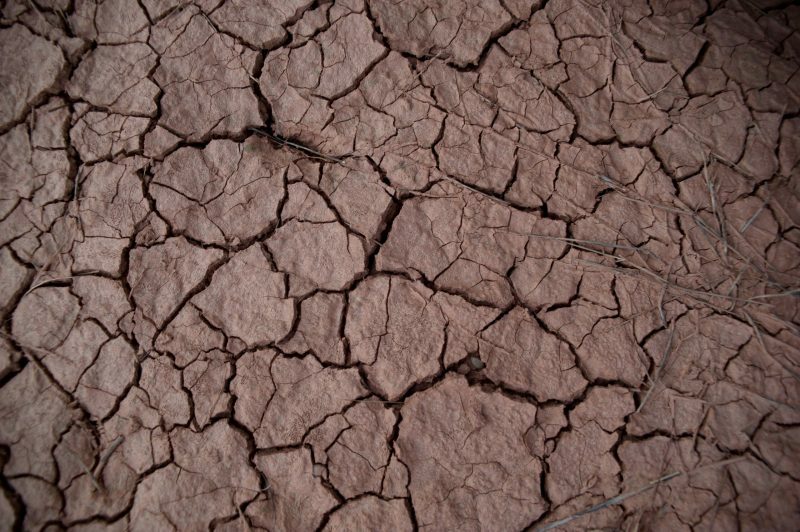 Drought and high temperatures threaten the MENA region. Image sourced from Wikimedia / Creative Commons. COP 23 Logo. Source: COP 23 Website. Researchers from the Max Planck Institute for Chemistry and the Cyprus Institute in Nicosia have predicted a harsh fate for the Middle East and North Africa  (MENA) region. Jordan currently faces one of the most severe droughts  in recorded history. In the absence of international climate policy action, the country could receive 30 percent less rainfall by 2100 and annual temperatures could increase by 4.5 Celsius. The landmark Paris Agreement  at COP 21  in 2015 provided the first truly global deal to tackle climate change. The 2017 Bonn meeting will be paramount in building the rules to enact the Paris deal and toughen national actions to meet the goal of keeping the global temperature rise below 2 degrees Celsius . In October 2015, the journal Nature Climate Change predicted that heat waves in parts of the Persian Gulf could threaten human survival  by the end of the century. Heat wave duration in the MENA region will prolong dramatically, lasting 80 days by mid-century and 118 days by the end of the century compared to the present average of 16 days, even if greenhouse gas emissions decline again after 2040. 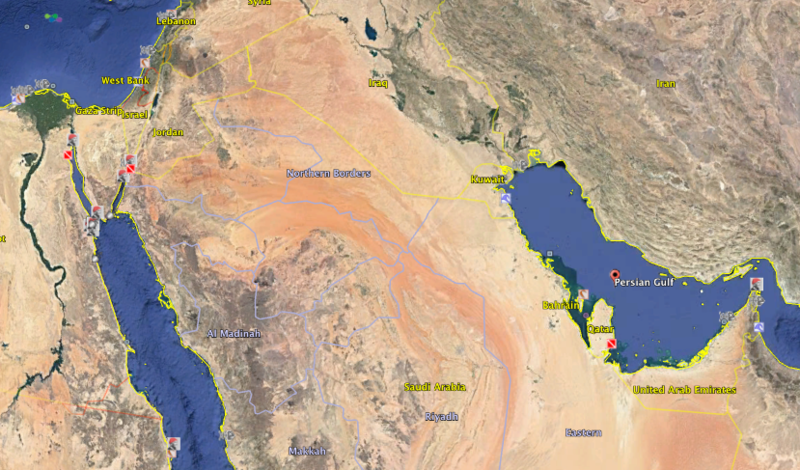 Screenshot from Google Earth of the Persian Gulf and neighboring countries. Unrestrained demand for water for agricultural purposes in the region has led to groundwater over‐drafting, declines in water quality and land degradation including salinization (increasing salt content in the soil). Climate change is expected to compound  these trends and the agriculture sector will hit the hardest. More frequent and intense heat waves and reduced rainfall will curb growing seasons. With less rain, there will be a reduction in soil moisture, river runoff, and aquifer recharge. Increased uncertainty will affect productivity, and make agricultural planning more difficult. The Arab region is currently suffering from drought, which is only the beginning of the consequences of climate change and therefore the discussions should take into account the communities most affected by the damage on the one hand and compensation for the losses resulting from that phenomenon, on the other hand. Jordan, for example, draws 160 percent more water from the ground than is replenished by nature, yet there is little incentive to conserve this precious resource. The use of water for irrigation remains heavily and unsustainably subsidized by the government, and wastage is a major issue. More than half of Jordan's water is used for agriculture which only produces only a small share of the local food supply. An estimated 50 percent of the water supply is lost due to misuse or theft. Middle Eastern countries are paying a heavy price for their focus on fossil fuels  in the form of air pollution and contaminated water. Increasing desertification  has adversely affected farming. The fishing industry suffers from deteriorating quality in coastal waters and the negative effects of changing sea temperatures on catches. But fossil fuels continue to enjoy huge subsidies and are so underpriced  that it is difficult for renewable energies to break through. They are perceived as not being cost-competitive because of the sometimes-hidden subsidies offered to fossil fuels. Only some countries in the region have grown rich by exploiting fossil fuels with the majority sourcing less than 1 percent of electricity from renewables. While all MENA countries stand to benefit from the sun, and the region has huge potential for solar energy and wind power, renewable energies investment is among the lowest in the world. MENA falls behind similar-income countries in this regard, but also behind many poorer countries. According to the Intergovernmental Panel on Climate Change (IPCC ), anthropogenic climate change is already significantly increasing the likelihood of extreme weather events like heatwaves , floods , and wildfires. The impact of these natural disasters may be irreversible, severe and widespread for billions of people unless action is taken now to drastically cut global carbon emissions. Over the last decade , various nations have announced long and medium-term development plans for alternative installations to fossil resources. For example, Morocco and Jordan have been driven to diversified their energy sources to meet a greater dependency and demand for fuel imports that continue to increase in cost.The Moroccan government is on the verge of achieving its objective to produce 2 Gigawatts (GW) of solar energy and 2 GW of wind energy by 2020, whereas its current wind capacity is over 750 Megavolts (MV). The Jordanian government is planning to increase its initial objective of 600 Megawatts (MW) of solar power to 1 GW by 2020. Current pledges for carbon cuts by the world’s nations would mean at least 3 degrees Celcius of global warming and severe damage, experts warn. Without serious preparation to build trust and agreement, deals are likely to delay, as the failed COP in Copenhagen in 2009 revealed. While the Paris Agreement included a mechanism to review and ratchet up these pledges, the rules have not been set, adding pressure to the Bonn meeting to complete this vital work before 2018.